Learn how the Detector Dog Training Program works and recruits. 1978: Canada Customs began using detector dogs to help frontline officers with a more effective method of detecting drugs and firearms. 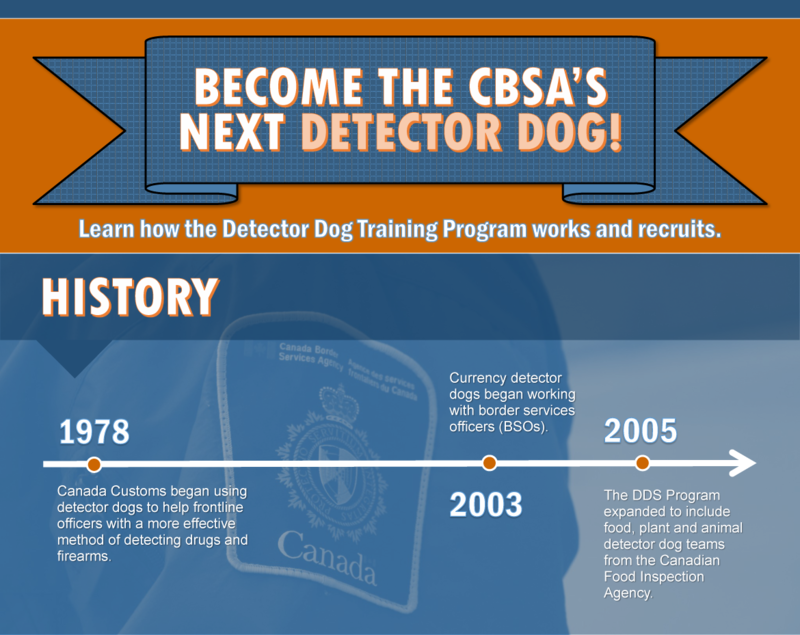 2003: Currency detector dogs began working with border services officers (BSOs). 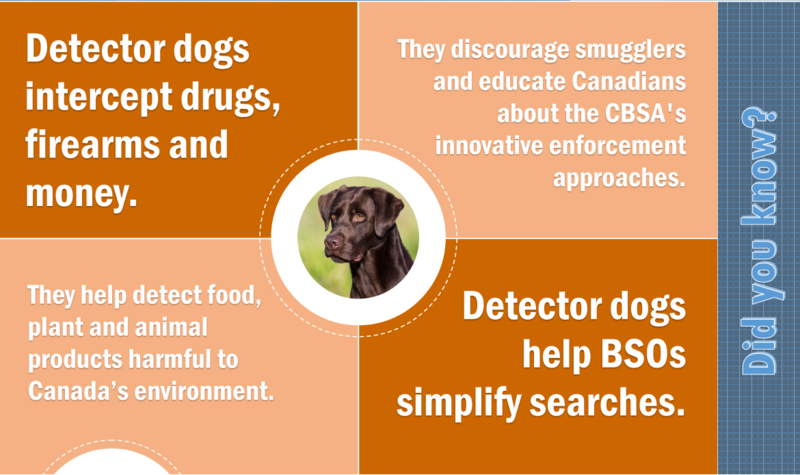 2005: The DDS Program expanded to include food, plant and animal detector dog teams from the Canadian Food Inspection Agency. Detector dogs intercept drugs, guns and money. They help detect food, plant and animal products harmful to Canada's environment. They discourage smugglers and educate Canadians about the CBSA's innovative enforcement approaches. Detector dogs help BSOs simplify searches. 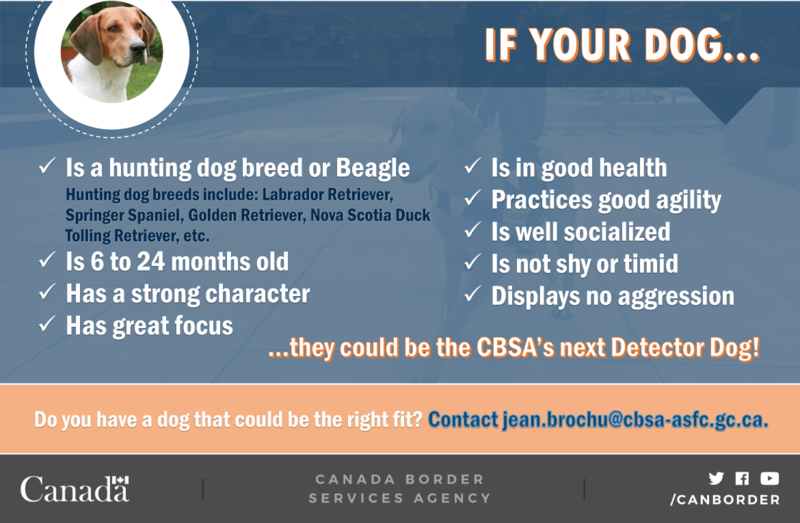 …they could be the CBSA's next Detector Dog. Do you have a dog that could be the right fit? Contact jean.brochu@cbsa-asfc.gc.ca.